New Orleans has an infectious party atmosphere that appeals to visitors of all ages. Though the cocktail bars are off limits to children, it’s still fun to see New Orleans with kids. 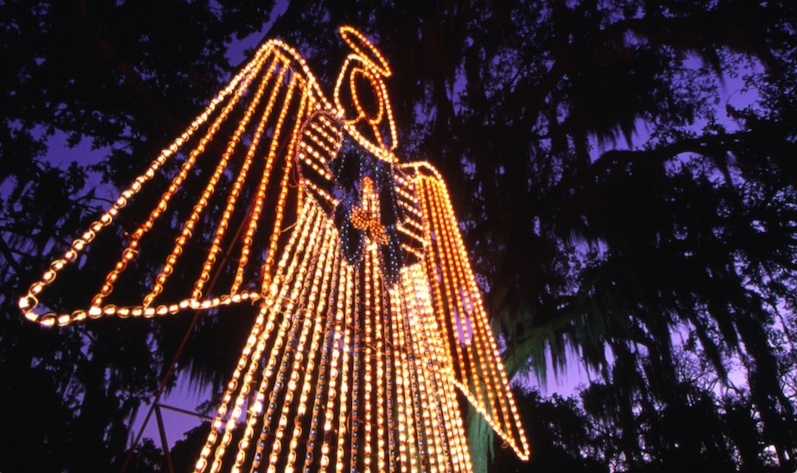 The frequent celebrations – parades and festivals can be found most weekends – make NOLA (New Orleans, Louisiana) a fun family destination – and you can watch them all for free! 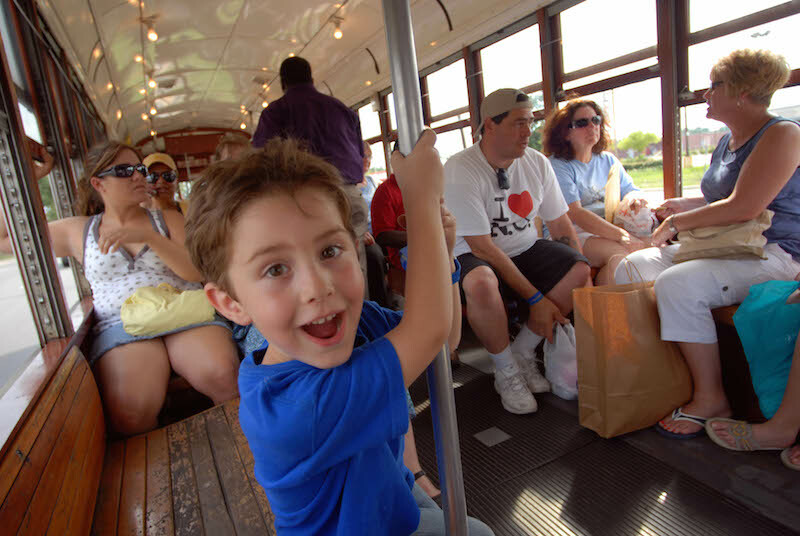 In addition to all the fun free things to do in New Orleans, if your kids are adventurous eaters, you will find all sorts of food to introduce to them, from spicy Cajun cuisine to sweet beignets. New Orleans‘ nickname, The Big Easy, translates into easy vacation planning. The year round festive atmosphere makes NOLA a great place for a family vacation. Watch out though: hotel prices rise during huge annual celebrations like Jazz Fest and Mardi Gras. But the abundant free street performances year round mean plenty of no-cost family friendly fun. Even eating in a cafe can offer free entertainment, particularly if you choose an outdoor table. Summers are extremely hot and humid, which also means lower hotel prices. Winters are mild and spring and summer can offer picture perfect days. Just be prepared for rain, which can strike at any time. 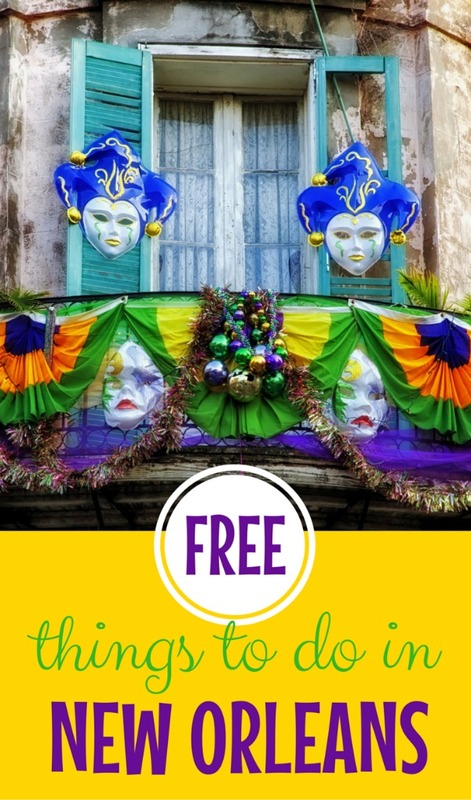 Fun Things to Do in New Orleans – for free! The 1,300-acre public City Park has many paid attractions, but also several that are free: two playgrounds, the five-acre Besthoff Sculpture Garden and wide open spaces where kids can just run around. The park boasts the largest collection of mature live oaks in the world, some more than 800 years old. You can hike through the forest trails for free, along the Louisiana Nature Trail. Look for the Singing Oak, a musical tree filled with wind chimes by a local artist. City Park truly shines in winter; there is a huge holiday light display of Christmas decorations, and nightly live music, all free. The Mardi Gras extravaganza may be too overwhelming for families with young kids, but you can see wild masks, costumes and vintage photos at Germaine Cazenave Wells Mardi Gras Museum, inside the French quarter restaurant Arnaud’s. Germaine Wells, daughter of the namesake restaurateur, presided as queen of over 22 Mardi Gras balls from 1937 to 1968 and many of her elaborate gowns are displayed. The museum is open during restaurant hours and it’s one of the best free things to do in New Orleans with kids. The Crescent City Farmers’ Market, held on Tuesdays, Wednesdays, Thursdays and Saturdays, at different locations, has free cooking demonstrations by local chefs and entertainment by local musicians. The markets are ideal for picking up affordable picnic items, and sampling the best of local foods. New Orleans is a city of squares, and historic Jackson Square, in the French Quarter, is one of the best known. 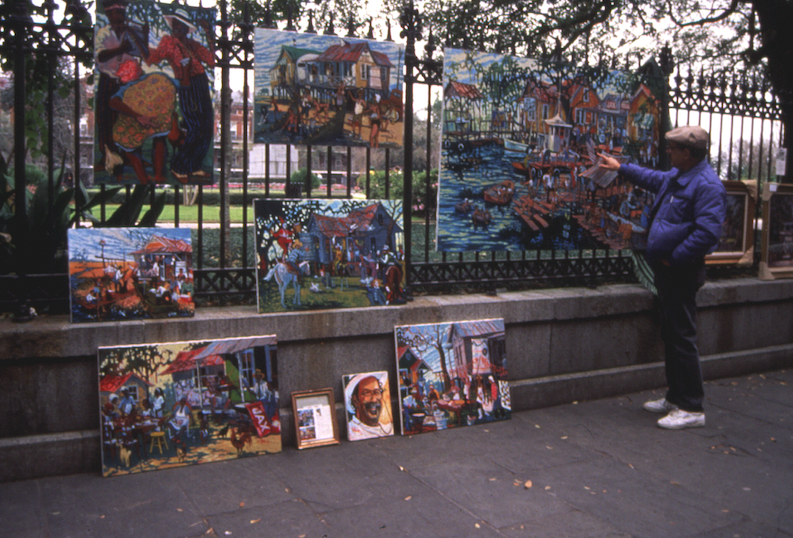 A National Historic Landmark, Jackson Square is home to local artists who display their work in free open-air galleries. Musicians also perform frequently this lively setting; there are concerts during winter holidays, and performances throughout the year. The grand boulevard, St. Charles Avenue, is lined with historic 19th century New Orleans mansions. Instead of paying for the streetcar, stroll the residential street for free and see the houses up close. You can walk from downtown to Uptown to get a look at the gorgeous architecture and huge oak trees. 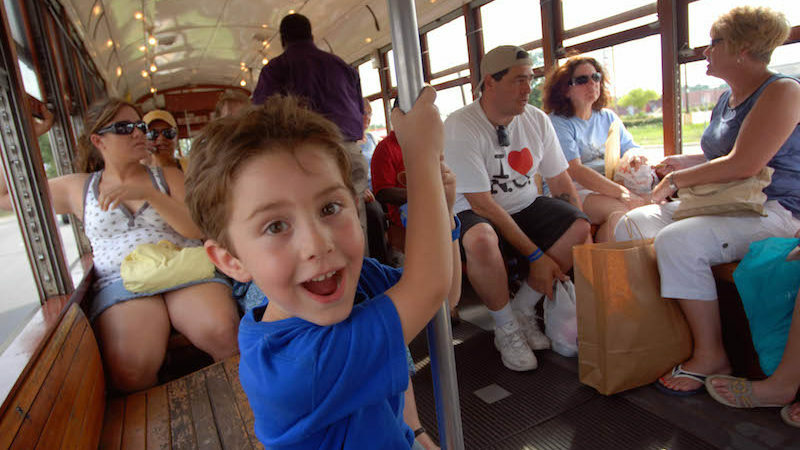 Depending on your stamina, you might choose to splurge for a (low cost) one way trip back on the St. Charles streetcar. Bring your white clothes and join the free annual White Linen Night, held the first Saturday evening every August. The huge block party, centered in the Warehouse District, features streets closed to cars, three stages with live entertainment, and gallery doors open to the public. There are food vendors, but you can enjoy the party without spending any money. Note: White attire is encouraged, but not required. The Jean Lafitte National Historical Park and Preserve has six sites around Southern Louisiana, with wetlands, bayous, swamps and marshes. Jean Lafitte was a pirate and a smuggler, born in France, who lived in New Orleans in the early 1800s. You can look for wildlife, learn about Cajun history and music, and hike the nature trails. 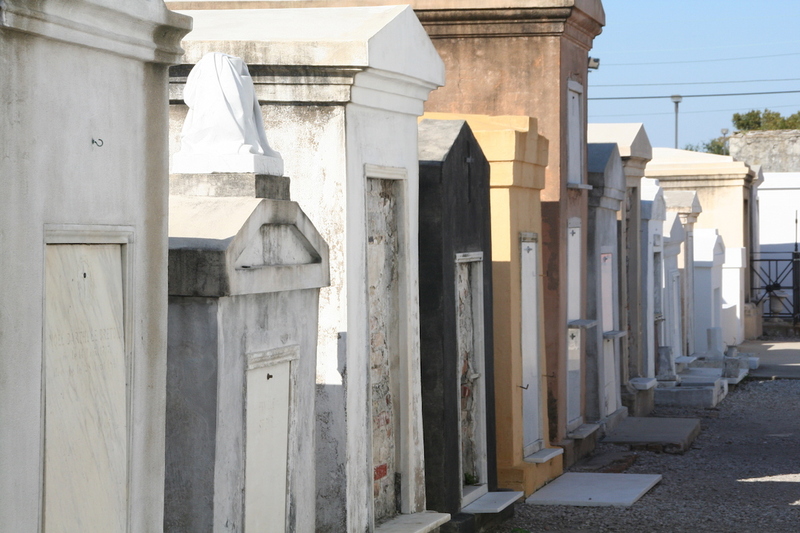 Note: You can no longer stroll through the three Saint Louis Cemeteries without a paid, guided tour, but you can walk around outside a cemetery and peek in. What’s your favorite free thing to do in New Orleans? Share with us in the comment section below. My kids also learned to juggle from NOLA street artists.